Born on May 14, 1984, in Dobbs Ferry, New York, Mark Zuckerberg co-founded the social-networking website Facebook out of his college dorm room. He left Harvard after his sophomore year to concentrate on the site, the user base of which has grown to over 250 million people, making Zuckerberg a billionaire. 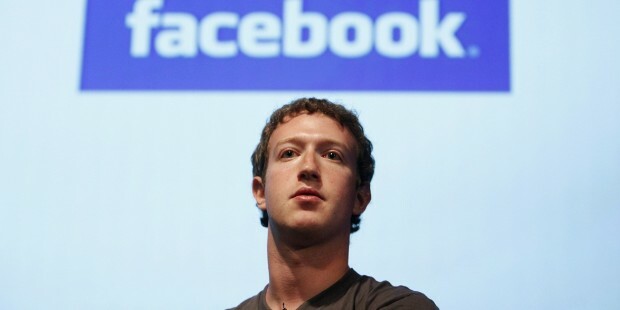 The birth of Facebook was recently portrayed in the film The Social Network. Mark Elliot Zuckerberg was born on May 14, 1984, in Dobbs Ferry, New York, into a comfortable, well-educated family. His father, Edward Zuckerberg, ran a dental practice attached to the family’s home. His mother, Karen, worked as a psychiatrist before the birth of the couple’s four children—Mark, Randi, Donna and Arielle. 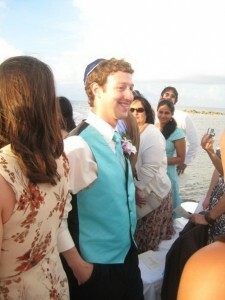 Zuckerberg was raised Jewish and he had his Bar Mitzvah when he turned 13. He had a passion for Hebrew and ancient Greek. His infatuation with the film Star Wars provided the theme for his Bar Mitzvah. Yet Zuckerberg and Facebook continued to succeed, in spite of the criticism. Time magazine named him Person of the Year in 2010, and Vanity Fair placed him at the top of their New Establishment list. Forbes also ranked Zuckerberg at No. 35—beating out Apple CEO Steve Jobs—on their Forbes 400 list, estimating his net worth to be $6.9 billion. Zuckerberg lives in Palo Alto, California, with Chan. In March 2011, the couple finally changed their statuses on Facebook to “In a Relationship.” They were finally married on May 19, 2012. That is the day after Facebook went public. He must have followed his Heart and not allowed religion to be an issue . All Human Beings are equally as free as he is , only some allow themselves to miss out on what their heart has plainly told them would be wonderful . What a novel idea . To simply follow your heart into your Happy Place ! Be Free to follow your Heart ! Don’t miss out on life , after all this is not a rehearsal ! Hahaha. Shalom ! and get pleasant data from here all the time. Simply wish to say your article is as astounding. The clarity in your post is simply spectacular and i could assume you’re an expert on this subject. Fine with your permission let me to grab your feed to keep up to date with forthcoming post. Thanks a million and please continue the enjoyable work. Mark Zuckerberg has proclaimed himself an Atheist a long time ago. Thank goodness for Facebook or else I don’t know what else I would do! Had no idea he was Jewish. But I guess I should have know with a name like Zuckerberg.